Yeah! Joy ride for the little girl, mostly. 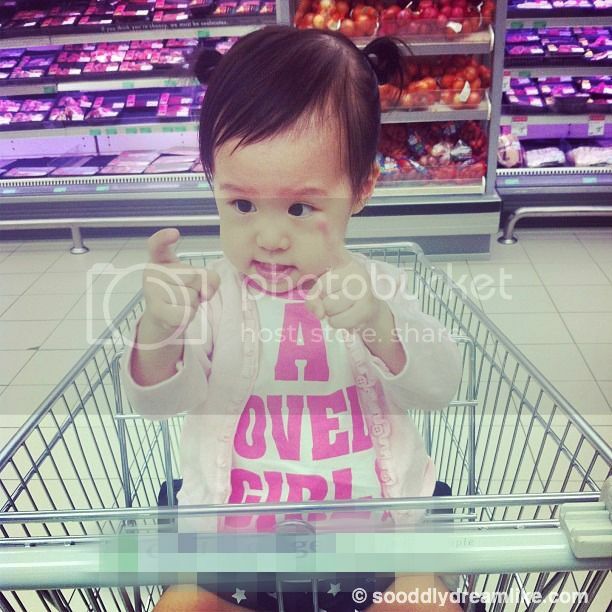 I confess, sometimes, I even bring her to the supermarkets just for this. I am very petite and very bo luck (Dialect for not strong at all). Before online shopping, a trip to the supermarket see us getting items like 2 packs of diapers, diaper wipes, many bottles of vinegar (for cleaning), tissue / toilet paper, fresh milk, and other bulky or heavy groceries which we may need as and when, on top of fresh food. Heavy? Yes. Bulky? YES YES. At the end of the day, we’ll have to carry our groceries down the car park stairs then up to the apartment and I also hate it when the heavy and bulky stuff meets fresh vegetables and eggs in my groceries. Accidents do happen. I remember the early days of motherhood when I barely had any time, to the extent that taking a bath or even a toilet visit was a problem, much less go to the supermarket. Back then, I relied on tingkat for food and Daddy, who works really long hours, had to visit one of the 24 hours supermarket for whatever else we needed. Those days are over but the life of a mom (working full time or otherwise) is no piece of cake either. I try to save whenever time I have for more important things. The time opportunity costs. So I shop for groceries when the household sleeps! I get some me-time when everyone else is asleep, to blog and check my email and surf the net generally to relax. When I come across a recipe I’d like to try? Not a problem, I just add to cart lest I forget to get it. JoyJoy cries while I’m at it? No problem, I’ll just go check on her and then continue when she’s asleep again. It’s really great that they have the one basket queue and the self-check out queue now at the supermarket but everyone else seems to think the same. “I’ll self check-out to beat the queue” or “I’ll just get one basket of what I really, really need to beat the (longer) queue at the other counters“. The only real way to beat the queue? Shop online. No queue! 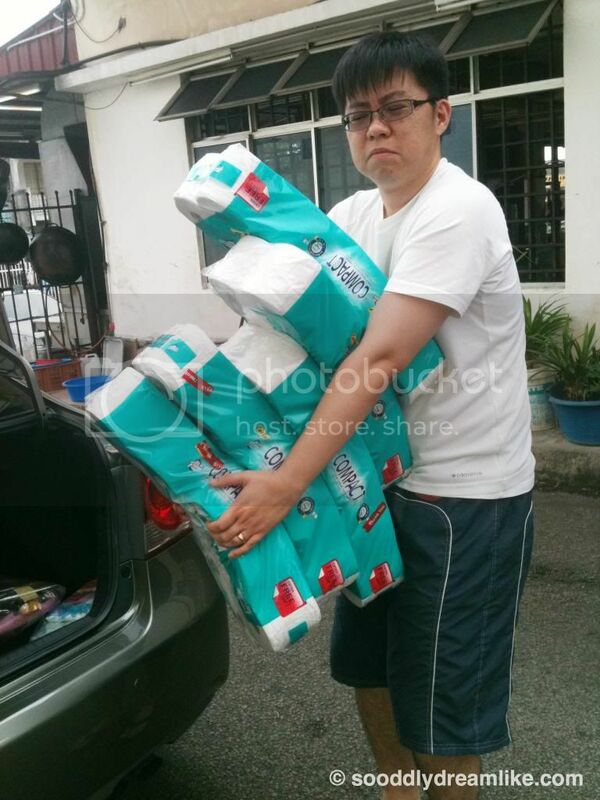 A good online supermarket, like RedMart, delivers quickly. For example, I made an order on 25 July 2013 at around 7.42pm and received my order on 26 July 2013 by 6pm (the time slot I chose, there were even earlier slots I could choose). My items were received in less than a day from the time I ordered! When you shop online, there is also history of the items you bought previously. Reordering? Easy! What is not easy is to forget to order the staples you usually need to. Daddy works long hours, so what happens when I go on a grocery trip on my own? I take a cab. Yes, I do if I go all out to get everything we need in a trip. And if I don’t get everything we need in a trip? I make several trips. And if Daddy is around? We drive. It all translates to transport costs, on top of the cost of the items. 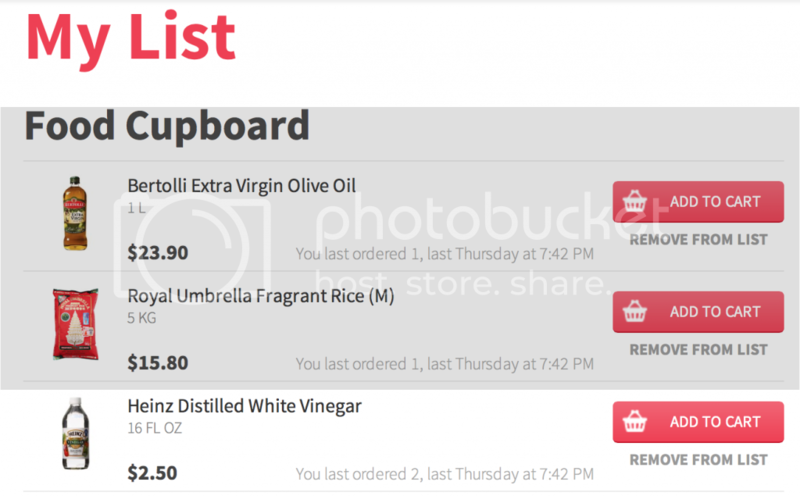 On top of the already competitive prices and sale promotions, RedMart delivers orders above $75, an amount that is easily hit, for FREE! Whatever you saved from the sale? Totally in your pocket! 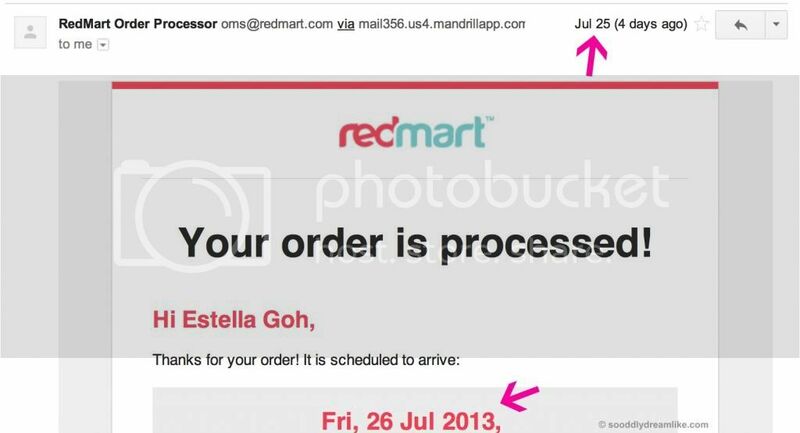 The even better news is that from now to 31 August 2013, RedMart will deliver your groceries for FREE on orders that are $49 and above! Like they say, if you even had doubts in the first place, it’s now even easier for you to try RedMart. And I SAY, it’s probably the best time to try RedMart now because I have an additional 10% off discount code for you at the end of this post! You’re welcomed! 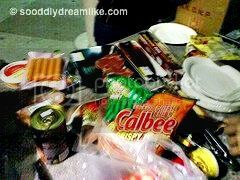 Organizing a BBQ? Order your titbits, charcoal, seasoning, canned food, napkins, cutlery and all on RedMart and have them delivered straight to your BBQ pit! Going for a staycation? Order your titbits, canned drinks and even, cometic items you’ve missed out (like sun protection, make up remover!) online and have them delivered to your doorsteps! 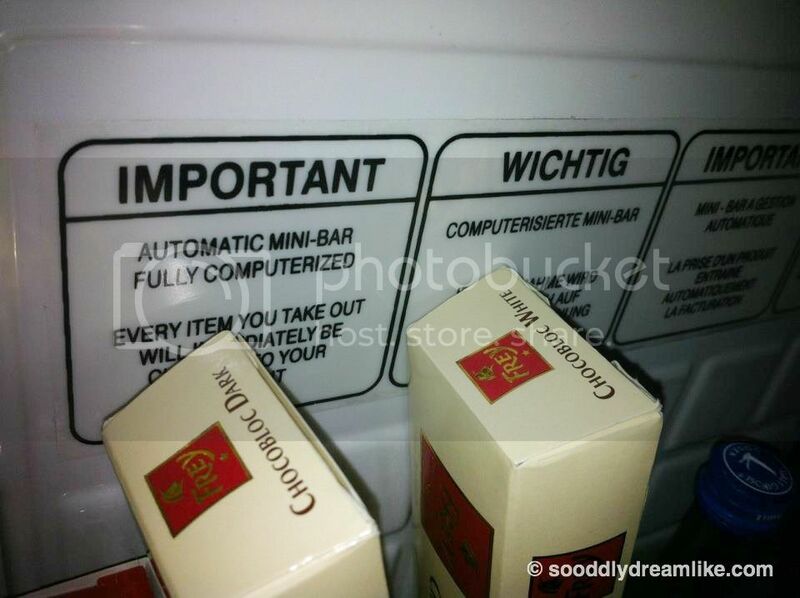 Situations preventing you from hitting the stores? Order online and have essentials delivered to you! Jang Jang Jang! 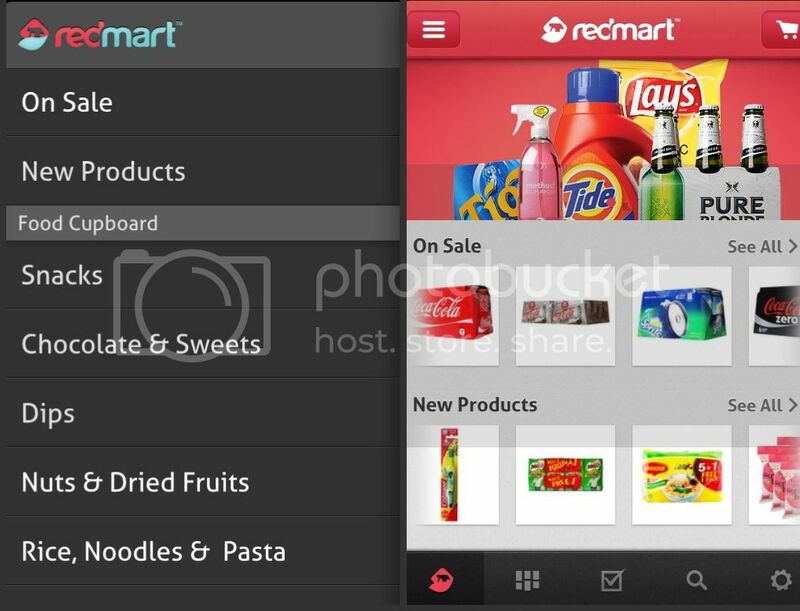 Now RedMart even has an iPhone app! Get an additional 10% off on your first purchase! All you’ve got to do is enter the discount code ‘rm sodream‘ before you check out! Happy shopping! Disclosure: This is Part 1 of 2 scheduled posts on RedMart.com. I am compensated for this but all opinions and views are my own. Great article. Happy to read this post here. As we all know store offer wide range of groceries and home essentials at very economical prices.